Ever want to go to a comic con on a cruise ship? Well, now you've got your chance. Find out about Fan2Sea in my weekly article at Nerdarchy.com. 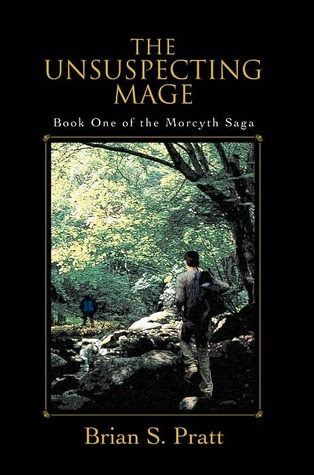 Notes: After recently reading the Reader and Educator Guide to The Hobbit and The Lord of the Rings, I decided I was in the mood for some fantasy, which I've been neglecting for some while now. I decided to try this author because he's new to me and because the story idea drew me in, being about a role player who finds himself in an actual world of magic. Mini review: This was a fun story that flowed well with characters you cared about. The downside was the writing needs to be cleaned up quite a bit, but not so much as to make it unreadable. Also, the book is mostly present tense (which doesn't appeal to me) though sometimes it lapses into past tense (which becomes annoying). Still, despite its faults, a pretty good read. 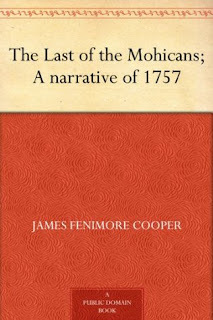 I wouldn't shy from this author in the future, though I won't necessarily seek out more works by him. 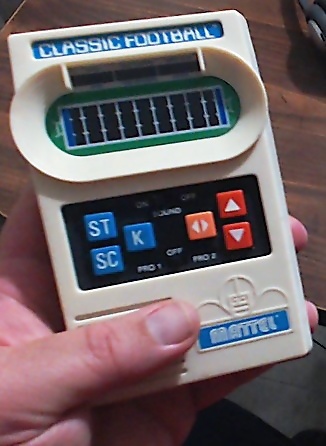 My Nerdarchy.com article this week takes a look back at the late 1970s and early 1980s when Mattel Electronics handheld games were popular. Go take a look down memory lane. 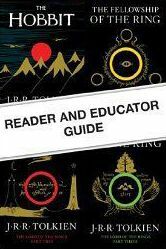 Notes: This Kindle freebie is sort of meant for teachers to use in introducing Tolkien's work to students. Been a long while since I've read any Tolkien, so I thought this might be worth dipping into to remind me of some past favorite reads. Mini review: This was interesting. Basically a teaching plan for Tolkien's works, there questions to ask students, suggested readings, excerpts from Tolkien and some of his letters, as well as excerpts from a few ancient epic tales, etc. This reminded me of a lot I had forgotten while also putting a few things in a new light. Glad I read it. At Nerdarchy.com: It's been a year already? Believe it or not, I've been writing for Nerdarchy for a year now, and this week's article takes a look back at some of my favorites for the Nerd crew. Enjoy! Notes: I've been looking forward to this one. 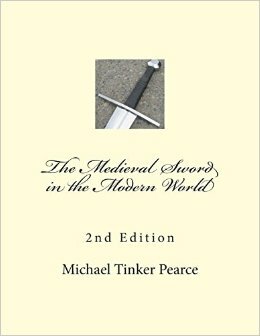 The author is a well known weapons smith among modern sword communities, and this book looks to entail a lot of information about swords. Originally I had thought this book was a mere collection of information about modern sword makers, but a quick flip through its pages has shown me it is much more. Mini review: This one is a keeper. Yes, there was some basic information about various U.S. sword makers, and plenty of visual examples, but this book was so much more than that. It got into the different types of steel to be used for swords, the different tempering methods and heating treatments, and I'll add that not all of this is the same for different types of swords (here the focus was somewhat general but seemed to lean a little toward the longsword). Basically, this was a run-through on how to make your own sword, starting with a bar of iron and finishing with how to wrap the handle with wire. There's also some basic information about good practices for using a sword and how to pick a good sword from a simple hunk of metal shaped like a sword. Not all of this information will be of interest to everyone, and I might have made this book sound overly complex in nature, but this was a pretty easy read with maybe only one chapter going a little over my head concerning the technical aspects. For someone interested in making swords, this would be a good place to start. Notes: Somehow this classic of literature has eluded my reading over the years. Not even in school did I have an opportunity for a go at it. So, I thought it high time I dipped into it. 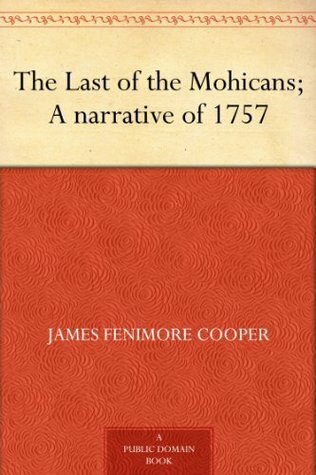 Mini review: A great story with great characters, though the writing style was no favorite of mine, often using 10 words when one would have sufficed. Beyond being a literary treasure, there is much to be found here for the history buff. Despite my disliking of Cooper's style, I might have to seek out his other works, at least the ones featuring the Hawkeye character. What am I talking about? God-god-godzilla! 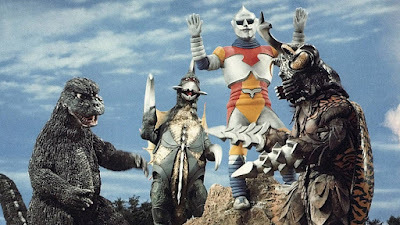 This week over at Nerdarchy.com, I write about my earliest experiences with the big monster with the mostest. Want to know who has the largest collection of dice in the world? Find out at Nerdarchy.com.